First ProbOnto paper is now online! 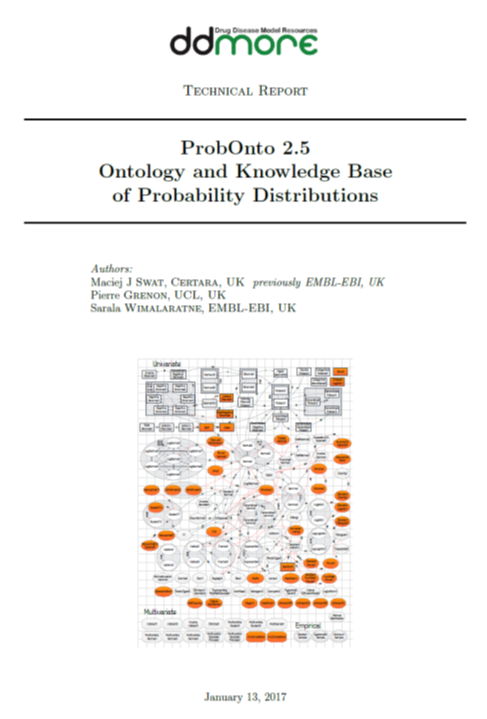 150 uni- and multivariate distributions and alternative parameterisations. Support for encoding of univariate mixture distributions. 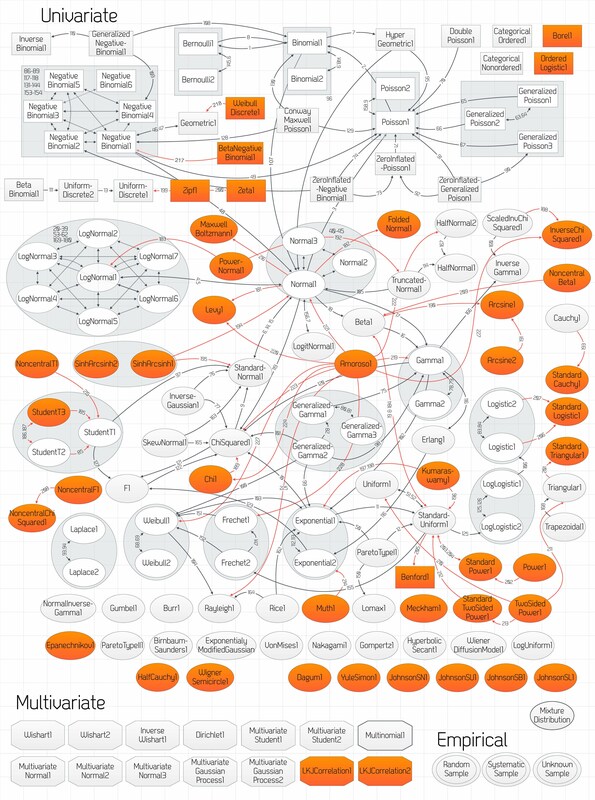 228 relationships and re-parameterisation formulas. Quantities such as mean, median, mode and variance. Parameter, support/range definitions and distribution type. Latex and R code for functions. Model definitions (NEW) and references. First ProbOnto paper is now online! The ProbOnto Application Note is now available online and free for everybody in Bioinformatics, paper link.